The epiphyte Lobaria pulmonaria (lungwort) is a foliose lichen of the northeastern forest. It is an association of three kingdoms of life – fungi, algae, and cyanobacteria – working in a symbiotic relationship. Lungwort prefers moist, shady interior forest habitats and is often found on maple (Acer spp. ), oak (Quercus spp. ), and beech (Fagus spp.). It is slow to mature and sensitive to disturbance, and its presence is a good indicator of long-term forest stability and maturity. It may take up to 25 years to attain the reproductive state for both vegetative and sexual pathways. Andersson, L. and Appelqvist, T. Lobaria pulmonaria and Gyalecta ulmi as indicators of deciduous woodland with high nature qualities. Sven. Bot. Tidskr. 81, 185-194. 1987. Arseneau, M.-J., Ouellet, J.-P., and Sirois, L. (1998). Fruticose arboreal lichen biomass accumulation in an old-growth balsam fir forest. Canadian Journal of Botany 76, 1669-1676. Bolgiano, C. (1989). A case for eastern old-growth. American Forests 26-48. Bredesen, B., Haugan, R., Aanderaa, R., Lindblad, I., Okland, B., and Rosok, O. Wood-inhabiting fungi as indicators on ecological continuity within spruce forests of southeastern Norway. Blyttia 55, 131-140. 1997. Burton, P. J., Kneeshaw, D. D., and Coates, K. D. (1999). Managing forest harvesting to maintain old growth in boreal and sub-boreal forests. Forestry Chronicle 75, 623-631. Busing, R. T. (1998). Composition, Structure and Diversity of Cove Forest Stands in the Great Smoky Mountains: a Patch Dynamics Perspective. Journal of Vegetation Science 9, 881-890. Busing, R. T. and Garman, S. L. (2002). Promoting old-growth characteristics and long-term wood production in Douglas-fir forests. Forest Ecology and Management 160, 161-175. Busing, R. T. and P. S. White (1993). Effects of area on old-growth forest attributes: implications for the equilibrium landscape concept. Landscape Ecology 8, 119-126. Chandler, D. S. and Peck, S. B. (1992). Diversity and seasonality of leiodid beetles (Coleoptera: Leiodidae) in an old-growth and a 40-year-old forest in New Hampshire. Environmental Entomology 21, 1283-1293. Chandler, D. S. Species richness and abundance of Pselaphidae (Coleoptera) in old-growth and 40-year-old forests in New Hampshire. Can. J. Zool. 65, 608-615. 1987. Chen, J., Franklin, J. F., and Spies, T. A. Contrasting microclimates among clearcut, edge, and interior of old-growth Douglas-fir forest. Agricultural and Forest Meteorology 63[3-4], 219-237. 1993. Conrad, J. M. (1997). On the option value of old-growth forest. Ecological Economics 22, 97-102. Cousins, S. A. O. and Eriksson, O. (2001). Plant species occurrences in a rural hemiboreal landscape: effects of remnant habitats, site history, topography and soil. Ecography 24, 461-469. Dettki, H. and Esseen, P. A. (1998). Epiphytic Macrolichens in Managed and Natural Forest Landscapes: a Comparison at Two Spatial Scales. Ecography 21, 613-624. Dettki, H., Klintberg, P., and Esseen, P.-A. (2000). 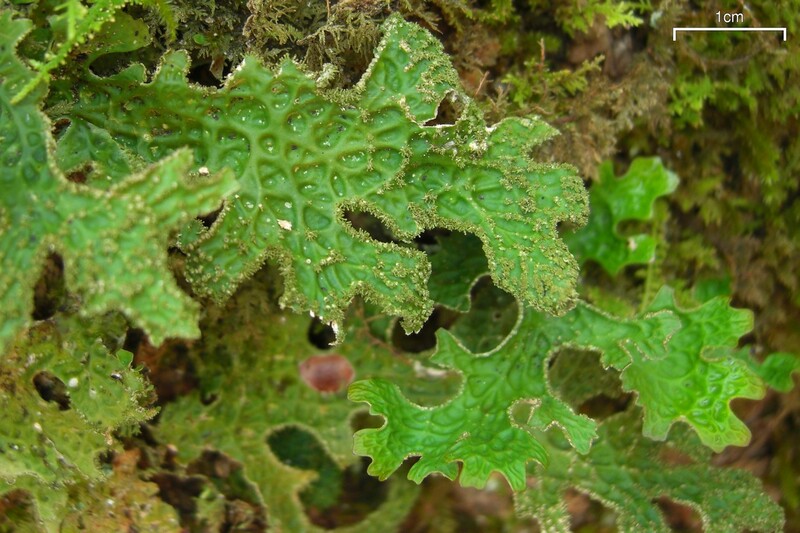 Are epiphytic lichens in young forests limited by local dispersal? Ecoscience 7, 317-325. Edenius, L. and K. Sjoberg (1997). Distribution of birds in natural landscape mosaics of old-growth forests in northern Sweden: Relations to habitat area and landscape context. Ecography 20, 425-431. Esseen, P.-A., Renhorn, K.-E., and Pettersson, R. B. Epiphytic lichen biomass in managed and old-growth boreal forests: effect of branch quality. Ecological Applications 6, 228-238. 1996. Etayo, J. and Gomez-Bolea, A. Ecological stability through lichens as bioindicators in oak-woods of the Atlantic Pyrenees. Folia Botanica Miscellanea 8, 61-75. 1992. Faurholdt, N. Application of indicator species in the assessment of the potentiel of natural forest in danish southeastern hardwood forests. Flora Og Fauna 106[3-4], 53-61. 2000. Foster, D. R., D.A. Orwig, and J. S. McLachlan (1996). Ecological and conservation insights from reconstructive studies of temperate old-growth forests. Trends in Ecology and Evolution 11, 419-424. Franklin, J. F., K. Cromack, Jr., W. Denison, A. McKee, C. Maser, J. Sedell, J. Swanson, and G. Juday. Ecological Characteristics of Old-Growth Douglas-Fir Forests. Portland, OR, USDA Forest Service. Franklin, J. F., Lindenmayer, D., MacMahon, J. A., McKee, A., Magnuson, J., Perry, D. A., Waide, R., and Foster, D. Threads of Continuity. Conservation Biology in Practice 1:9-16. Freedman, B., Zelanzy, V., Beaudette, D., Fleming, T., Flemming, S., Forbes, G., Gerrow, J. S., Johnson, G., and Woodley, S. Biodiversity implications of changes in the quantity of dead organic matter in managed forests. Environmental Reviews 4, 238-265. 1996. Gandhi, K. J. K., Spence, J. R., Langor, D. W., and Morgantini, L. E. (2001). Fire residuals as habitat reserves for epigaeic beetles (Coleoptera: Carabidae and Staphylinidae). Biological Conservation 102, 131-141. Gauslaa, Y. (1995). The Lobarion, an epiphytic community of ancient forests threatened by acid rain. Lichenologist 27, 59-76. Gauslaa, Y. and Ohlson, M. Continuity and epiphytic lichens in Norwegian forests. A historical perspective. Blyttia 55, 15-27. 1997. Gauslaa, Y. and Solhaug, K. A. (1996). Differences in the susceptibility to light stress between epiphytic lichens of ancient and young boreal forest stands. Functional Ecology 10, 344-354. Gauslaa, Y. Lobaria pulmonaria, an indicator of species-rich forests of long ecological continuity. Blyttia 52, 119-128. 1994. Gauslaa, Y., Anonby, J., Gaarder, G., and Tonsberg, T. Usnea longissima, a rare ancient forest lichen in western Norway. Blyttia 50, 105-114. 1992. Götmark, F., and M. Thorell. Size of nature reserves: densities of large trees and dead wood indicate high value of small conservation forests in southern Sweden. Biodiversity and Conservation 12:1271-1285. Goward, T. Notes on oldgrowth-dependent epiphytic macrolichens in inland British Columbia, Canada. Acta Botanica Fennica 150, 31-38. 1994. Graae, B. J. and Sunde, P. (2000). The impact of forest continuity and management on forest floor vegetation evaluated by species traits. Ecography 23, 720-731. Grove, S. J. (2002). Saproxylic insect ecology and the sustainable management of forests. Annual Review of Ecology and Systematics 33, 1-23. Grove, S. J. (2002). Tree basal area and dead wood as surrogate indicators of saproxylic insect faunal integrity: a case study from the Australian lowland tropics. Ecological Indicators 1, 171-188. Groven, R., Rolstad, J., Storaunet, K. O., and Rolstad, E. (2002). Using forest stand reconstructions to assess the role of structural continuity for late-successional species. Forest Ecology and Management 164, 39-55. Gu, Wei-Dong M. Kuusinen T. Konttinen and I. Hanski (2001). Spatial pattern in the occurrence of the lichen Lobaria pulmonaria in managed and virgin boreal forests. Ecography 24, 139-150. Gustafsson, L., Fiskesjo, A., Ingelog, T., Pettersson, B., and Thor, G. (1992). Factors of importance to some lichen species of deciduous broad-leaved woods in southern Sweden. Lichenologist 24, 255-266. Hagan, J. M. and Grove, S. L. 1995 Report: Selection cutting, old-growth, birds and forest structure in Maine. Manomet Observatory for Conservation Sciences. Hakan, B. and Jonsson, B. G. Predictability of plant and fungal species richness of old-growth boreal forest islands. Journal of Vegetation Science 12, 857-866. 2001. Hale, C. M., Pastor, J., and Rusterholtz, K. A. Comparison of structural and compositional chanracteristics in old-growth and mature, managed hardwood forests of Minnesota, U.S.A. Canadian Journal of Forest Research 29, 1479-1489. 1999. Hale, Jr. M. E. Vertical distribution of cryptogams in virgin forest in Wisconsin. Ecology 33, 398-406. 1952. Hallingbäck, T. (1989). Occurrence and ecology of the lichen Lobaria scrobiculata in southern Sweden. Lichenologist 21, 331-342. Hallingback, T. and Weibull, H. (1996). Bryophytes indicating deciduous forest stands important for nature conservation in southern Sweden. Svensk Botanisk Tidskrift 90, 129-140. Hallingback, T. The decline of three species of Lobaria in Sweden. Svensk. Bot. Tidskr. 80, 373-381. 1986. Hanski, I. (2000). Extinction debt and species credit in boreal forests: modelling the consequences of different approaches to biodiversity conservation. Annales Zoologici Fennici 37, 271-280. Hardt, R. A. and Swank, W. T. (1997). A comparison of structural and compositional characteristics of southern Appalachian young second-growth, maturing second-growth, and old-growth stands. Natural Areas Journal 17, 42-52. Hartwell, H. W. Jr. (1990). Relictual amphibians and old-growth forests. Conservation Biology 4, 309-319. Hazell, P. and Gustafsson, L. (1999). Retention of trees at final harvest-Evaluation of a conservation technique using epiphytic bryophyte and lichen transplants. Biological Conservation 90, 133-142. Hedenas, H. and Ericson, L. (2000). Epiphytic macrolichens as conservation indicators: Successional sequence in Populus tremula stands. Biological Conservation 93, 43-53. Holthausen, R. S. and Marcot, B. G. Applying the results of old-growth research to management: Information needs, development of technical tools, and future research. Ruggeiro, L. F., Aubry, K. B., Carey, A. B., and Huff, M. H. Technical Coordinators. Wildlife and Vegetation of Unmanaged Douglas-fir Forests. Portland, OR, USDA, Forest Service, Pacific Northwest Research Station. Howe, K. D. Distribution and abundance of terrestrial and arboreal lichens in the old-growth coniferous forests of the western Cascades of Oregon, with special reference to nitrogen-fixing species. Eugene, OR, Department of Geography, University of Oregon. Humphrey, J.W., S. Davey, A.J. Peace, R. Ferris, and H. Harding. Lichens and bryophyte communities of planted and semi-natural forests in Britain: the influence of site type, stand structure and deadwood. Biological Conservation 107:165-180. Hunter, M. L. and White, A. S. Ecological thresholds and the definition of old-growth forest stands. Natural Areas Journal 17, 292-296. 1997. Hunter, M. L. Jr. (1989). What constitutes an old-growth stand? Journal of Forestry 33-35. Jonsell, M. (1999). Insects on wood-decaying polypores: conservation aspects. Acta Universitatis Agriculturae Sueciae Silvestria 93, 179 pp. Jonsell, M. and Nordlander, G. (2002). Insects in polypore fungi as indicator species: a comparison between forest sites differing in amounts and continuity of dead wood. Forest Ecology and Management 157, 101-118. Jonsson, L., Dahlberg, A., Nilsson, M. C., Zackrisson, O., and Karen, O. Ectomycorrhizal fungal communities in late-successional Swedish boreal forests, and their composition following wildfire. Molecular Ecology 8, 205-215. 1999. Kaila Lauri., Martikainen Petri, Punttila Pekka, and Yakovlev Evgeniy. Saproxylic beetles (Coleoptera) on dead birch trunks decayed by different polypore species. Annales Zoologici Fennici 31, 97-107. 1994. Kivisto, L. and Kuusinen, M. Edge effects on the epiphytic lichen flora of Picea abies in middle boreal Finland. Lichenologist 32, 387-398. 2000. Kuusinen, M (1996). Epiphyte flora and diversity on basal trunks of six old-growth forest tree species in southern and middle boreal Finland. Lichenologist 28(5), 443-463. Kuusinen, M. (1994). Epiphytic lichen diversity on Salix caprea in old-growth southern and middle boreal forests of Finland. Annales Botanici Fennici 31, 77-92. Kuusinen, M. and Penttinen, A. Spatial pattern of the threatened epiphytic bryophyte Neckera pennata at two scales in a fragmented boreal forest. Ecography 22, 729-735. 1999. Kuusinen, M. and Siitonen, J. (1998). Epiphytic lichen diversity in old-growth and managed Picea abies stands in southern Finland. Journal of Vegetation Science 9, 283-292. Lattin, J. D. (1993). Arthropod diversity and conservation in old-growth northwest forests. American Zoologist. 33, 578-587. Lesica, P., McCune, B., Cooper, S. V., and Hong, W. S. (1991). Differences in lichen and bryophyte communities between old-growth and managed second-growth forests in the Swan Valley, Montana. Canadian Journal of Botany 69, 1745-1755. Lindgren, M. (2001). Polypore (Basidiomycetes) species richness and community structure in natural boreal forests of NW Russian Karelia and adjacent areas in Finland. Acta Botanica Fennica 170, 1-41. Löfman, S. and Kouki, J. (2001). Fifty years of landscape transformation in managed forests of southern Finland. Scandinavian Journal of Forest Research 16, 44-53. Lorimer, C. G. and L. E. Frelich (1994). Natural disturbance regimes in old-growth northern hardwoods: Implications for restoration efforts. Journal of Forestry 33-38. McComb, W. C. and R. N. Muller (1983). Snag densities in old-growth and second-growth Appalachian forests. Journal of Wildlife Management 47, 376-382. McGee, G. G., Leopold, D. J., and Nyland, R. D. Structural characteristics of old-growth, maturing, and partially cut northern hardwood forests. Ecological Applications 9, 1316-1329. 1999. Meier, A. J., S. P. Bratton, and D. C. Duffy (1995). Possible ecological mechanisms for loss of vernal-herb density in logged eastern deciduous forests. Ecological Applications 5, 935-946. Millikin, R. L. Utilization of residual patches of old-growth timber by forest birds. Marshall, V. Proceedings of the Forest Ecosystem Dynamics Workshop. Forest Canada and British Columbia Ministry of Forestry. FRDA Rep. No. 210. Mladenoff, D. J., White, M. A., Crow, T. R., and Pastor, J. (1994). Applying principles of landscape design and management to integrate old-growth forest enhancement and commodity use. Conservation Biology 8, 752-762. Neitlich, P. N. and McCune, B. Hotspots of epiphytic lichen diversity in two young managed forests. Conservation Biology 11, 172-182. 1997. Niemela, J. (1997). Invertebrates and boreal forest management. Conservation Biology 11, 601-610. Nilsson, S. G. and Baranowski, R. (1997). Habitat predictability and the occurrence of wood beetles in old-growth beech forests. Ecography 20, 491-498. Nilsson, S. G. and Baranowski, R. Indicators of megatree continuity- Swedish distribution of click beetles (Coleoptera, Elateridae) dependent on hollow trees. Ent. Tidskr. 115, 81-97. 1994. Nilsson, S. G. and Baranowski, R. Species composition of wood beetles in an unmanaged mixed forest in relation to forest history. Ent. Tidskr. 114, 133-146. 1993. Nilsson, S. G., Arup, U., Baranowski, B., and Ekman, S. Tree-dependent lichens and beetles as indicators in conservation forests. Conservation Biology 9, 1208-1215. 1995. Nilsson, S. G., Niklasson, M., Hedin, J., Aronsson, G., Gutowski, J. M., Linder, P., Ljungberg, H., Mikusiski, G., and Ranius, T. (2002). Densities of large living and dead trees in old-growth temperate and boreal forests. Forest Ecology and Management 161, 189-204. Norstedt, G., Bader, P., and Ericson, L. (2001). Polypores as indicators of conservation value in Corsican pine forests. Biological Conservation 99, 347-354. Nowacki, G. J. and P. A. Trianosky. (1993). Literature on old-growth forests of eastern North America. Natural Areas Journal 13, 87-107. Ohlson, M. and Tryterud, E. Long-term spruce forest continuity: a challenge for a sustainable Scandinavian forestry. Forest Ecology and Management 124, 27-34. 1999. Ohlson, M., L. Soderstrom, G. Hornberg, O. Zackrisson, and Hermansson (1997). Habitat qualities versus long-term continuity as determinants of biodiversity in boreal old-growth swamp forests. Biological Conservation 81, 221-231. Ojala, E., Mönkkönen, M., and Inkeröinen, J. (2000). Epiphytic bryophytes on European aspen Populus tremula in old-growth forests in northeastern Finland and in adjacent sites in Russia. Canadian Journal of Botany 78, 529-536 . Orjan, F. and Krister, L. The significance of long forest continuity to red-listed lichens: a study of beech forest in the province of Halland, SW Sweden. Svensk Botanisk Tidskrift 90, 241-262. 1996. Peck Jerilynn E. and McCune Bruce. Remnant trees and canopy lichen communities in western oregon: a retrospective approach. Ecological Applications 7, 1181-1187. 1997. Pike, L. H., W. C. Denison, D. Tracy, M. Sherwood, and F. Rhoades (1975). Floristic survey of epiphytic lichens and bryophytes growing on living, old-growth conifers in western Oregon. Bryologist 78, 391-404. Qian Hong., Klinka Karel, and Song Xianghou. Cryptogams on decaying wood in old-growth forests of southern coastal British Columbia. Journal of Vegetation Science 10, 883-894. 1999. Rambo, T. R. and Muir, P. S. (1998). Bryophyte Species Associations With Coarse Woody Debris and Stand Ages in Oregon. Bryologist 101, 366-376. Rolstad, J., Gjerde, I., Gundersen, V. S., and Saetersdal, M. (2002). Use of indicator species to assess forest continuity: a critique. Conservation Biology 16, 253-257. Rosso, A. L., McCune, B., and Rambo, T. R. (2000). Ecology and conservation of a rare, old-growth-associated canopy lichen in a silvicultural landscape. Bryologist 103, 117-127. Scheidegger, C., Stofer, S., Dietrich, M., Groner, U., Keller, C., and Roth, I. Estimating regional extinction probabilities and reduction in populations of rare epiphytic lichen-forming fungi. Forest Snow and Landscape Research 75, 415-433. 2000. Selva, S. B. (1994). Lichen diversity and stand continuity in the northern hardwoods and spruce-fir forests of northern New England and western New Brunswick. Bryologist 97, 424-429. Selva, S. B. B. Hicks T. Marsh J. Gobeille and C. Strong (1989). Lichens as Indicators of Old-growth Forest (Final Report). 71-76. Seymour, R. S., White, A. S., and deMaynadier, P. G. (2002). Natural disturbance regimes in northeastern North America: evaluating silvicultural systems using natural scales and frequencies. Forest Ecology and Management 155, 357-367. Shirazi, A. M., Muir, P. S., and McCUne, B. Environmental factors influencing the distribution of the lichens Lobaria oregana and L. pulmonaria. The Bryologist 99, 12-18. 1996. Siitonen, J. and Saaristo, L. Habitat requirements and conservation of Pytho kolwensis, a beetle species of old-growth boreal forest. Biological Conservation 94, 211-220. 2000. Siitonen, J., Martikainen, P., Punttila, P., and Rauh, J. (2000). Coarse woody debris and stand characteristics in mature managed and old-growth boreal mesic forests in southern Finland. Forest Ecology and Management 128, 211-225. Siitonen, J., Penttilä, R., and Kotiranta, H. (2001). Coarse woody debris, polyporous fungi and saproxylic insects in an old-growth spruce forest in Vodlozero National Park, Russian Karelia. Ecological Bulletin 49, 231-242. Sillett, S. C. and Goslin, M. N. Distribution of epiphytic macrolichens in relation to remnant trees in a multiple-age Douglas-fir forest. Canadian Journal of Forest Research 29, 1204-1215. 1999. Sillett, S. C., McCune, B., Peck, J. E., Rambo, T. R., and Ruchty, A. (2000). Dispersal limitations of epiphytic lichens result in species dependent on old-growth forests. Ecological Applications 10, 789-799. Similä, M., Jari Kouki, J., and Martikainen, P. (2003). Saproxylic beetles in managed and seminatural Scots pine forests: quality of dead wood matters. Forest Ecology and Management 174, 365-381. Spence, J. R., D. W. Langor, J. Niemela, H. A. Carcamo, and C. R. Currie (1996). Northern forestry and carabids: The case for concern about old-growth species. Annales Zoologici Fennici 33, 173-184. Spies, T. A. and J.F. Franklin. The diversity and maintenance of old-growth forests. 296-314. New York., Oxford Univ. press. Sxaro, R. C. and D. W. Johnston. 1996. Sverdrup-Thygeson A. and Lindenmayer D (1998). The concept of indicator species in forest conservation: how well does it work? Fauna 51, 150-159. Sverdrup-Thygeson A. Can ‘continuity indicator species’ predict species richness or red-listed species of saproxylic beetles? Biodiversity and Conservation 10, 815-832. 2001. Sverdrup-Thygeson, A. and Lindenmayer, D. B. (2003). Ecological continuity and assumed indicator fungi in boreal forest: the importance of the landscape matrix. Forest Ecology and Management 174:353-363. Thor, G. Red-listed lichens in Sweden: habitats, threats, protection, and indicator value in boreal coniferous forests. Biodiversity and Conservation 7, 59-72. 1998. Tibell, L. Crustose lichens as indicators of forest continuity in boreal coniferous forests. Nordic Journal of Botany 12, 427-450. 1992. Uotila, A., Kouki, J., Kontkanen, H., and Pulkkinen, P. Assessing the naturalness of boreal forests in eastern Fennoscandia. Forest Ecology and Management 161, 257-277. 2002. Wahlberg, N., Moilanen, A., and Hanski, I. (1996). Predicting the occurrence of endangered species in fragmented landscapes. Science 273, 1536-1538. White, M. A. and D. J. Mladenoff (1994). Old-growth forest landscape transitions from pre-european settlement to present. Landscape Ecology 9, 191-205. Whitney, G. G. (1987). Some reflections on the value of old-growth forests, scientific and otherwise. Natural Areas Journal 7, 92-99. Willett Terrence R. Spiders and other arthropods as indicators in old-growth versus logged redwood stands. Restoration Ecology 9, 410-420. 2001. Zoller, S., Lutzoni, F., and Scheidegger, C. Genetic variation within and among populations of the threatened lichen Lobaria pulmonaria in Switzerland and implications for its conservation. Molecular Ecology 8, 2049-2059. 1999. Note: This is an incomplete work in progress. Updated June 13, 2017.